We're never growing old, we are collecting lines. We're never growing old, we are making moments. In 2010 Rökkurró released the studio album Í Annan Heim (produced by Alex Somers of Jónsi fame) to an unexpected wave of critical acclaim - not just within their native Iceland but internationally. The album spent a staggering 100 weeks in the Icelandic chart’s Top 30, while international media such as NME, Clash, The Line of Best Fit, CMU Daily and KEXP Radio championed the band. Three years on, Rökkurró returned to the studio with two new members Helga (piano) and Skúli (bass) to record their follow-up second album Innra which is set for release in late 2014. With band members spending time between Tokyo, London and Reykjavík over the past three years, Rökkurró have been meticulously expanding their luscious musical palette as well as exploring different lyrical approaches, with Innra being Rökkurró’s first part-English speaking record. “We wanted to try it out. When I was living in Japan, I was basically only speaking English and Japanese. I think it’s challenging and has a different feel to it - compared to what we've done before. But rest assured, we will do stuff in Icelandic again. We are really excited to be finally releasing new music,” explains Stefánsdóttir. This time around, production was done by renowned multi-instrumentalist and producer Helgi Hrafn Jónsson. “His ideas are fresh and we liked the fact that he chooses the artists he works with very carefully. We found out very soon that we shared a common vision for this project and that is really important.” - Stefánsdóttir. Killing Time premiered on The Line of Best Fit and featured on The Guardian website who raved of the track: “warm, wonderfully textured number that finds stuttering rhythms judder underneath swelling instrumentals while the vocal’s unshakable sense of longing will lingers well after the song has finished.” The description can be applied to Innra as a whole, where soft synths mix with layered percussion to make a warmly textured and enveloping backdrop to Stefánsdóttir’s sweetly smooth and at times subtly sultry vocals. Rökkurró self-release their new album in late 2014, on CD, Vinyl and Digitally. The album release will be preceded by the debut single The Backbone (released on 11 August 2014). 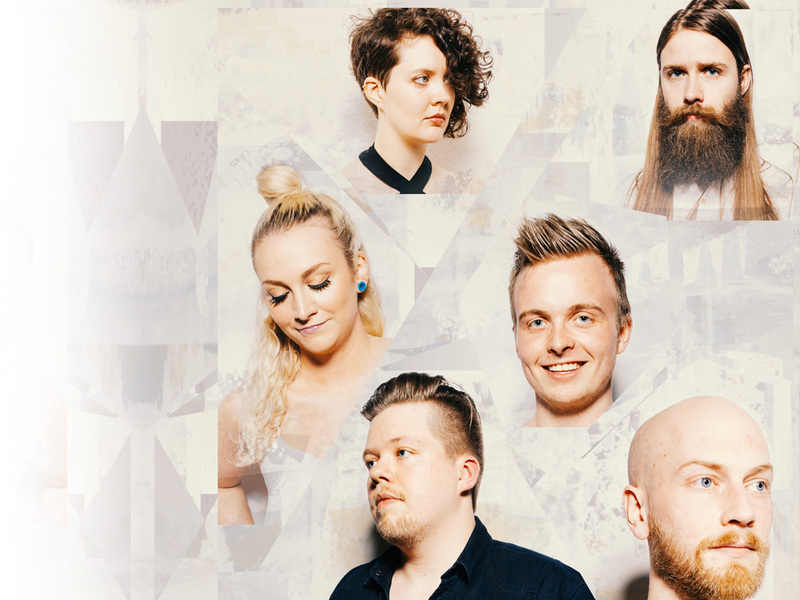 Rökkurró are playing Iceland Airwaves in November 2014, with more dates to be announced.